The Final Girls present a special preview of Anna Biller’s The Love Witch, a spellbinding homage to 1970s sexploitation films and technicolour melodramas of the 1960s. 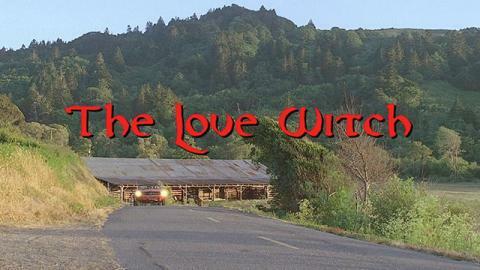 Shot in sumptuous 35mm, the film follows Samantha Robinson in her breakout performance as Elaine, a beautiful, young witch determined to find a man to (literally) charm into loving her. However, once entranced by her potions, Elaine realises that each one of her hapless victims is not what she desires. Soaked in Biller’s unique visual style, The Love Witch is a stylish throwback and remarkable examination of female desire. Before the film there will be an extended introduction on the cinema of Anna Biller and witchcraft in film. Then afterwards we're delighted that Anna will be joining us (via Skype) for a live Q&A. The Final Girls is a film collective focused on exploring the intersections of feminism and horror cinema. A spellbinding homage to 1970s sexploitation films and technicolour melodramas of the 1960s. A young woman explores her morbid curiosities in this beautifully photographed but brutal slice of Lynchian horror.